The Newest Rant: Is, "No Man's Sky," Worth Playing Now? Hey, hey you! Remember that game from almost two years ago that had a ton of hype? Yeah, "No Man's Sky." Remember how everyone had impossible expectations of it and was really let down when it turned out to be a pretty-but-bland game that was more about tedious resource-management and long flights within the void of space as opposed to a rollicking adventures through the cosmos? Well apparently since then there have been smaller updates and now a massive one that take it from something I tried out for a couple hours and forgot about to a really cool game. When it first came out a lot of people decried how it felt like a lot was missing and it was more of an, "Early Access/Beta-stage," than it was much of a game. 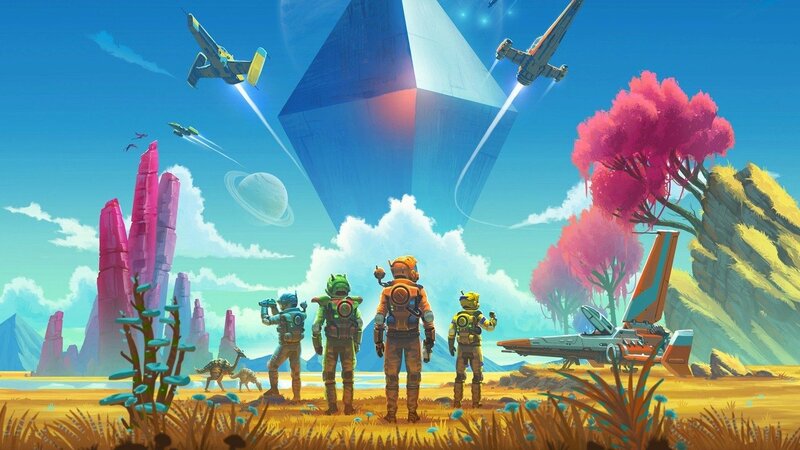 Does this make, "No Man's Sky," an example of how rushed development is bad, or is it proof that releasing a game earlier and listening to player feedback is the way to go? I have no clue--there really isn't any way to know, honestly. Whatever the case, perhaps, "No Man's Sky," is worth a second look these days. Should anyone have tried it out back in 2016 and given it a shot again now do please let me know how much things have hopefully improved.